Boxing involves hand-to-hand combat over the course of a predetermined time limit. A combatant can win by outlasting or outpointing their opponent, with judges traditionally scoring each round of a contest and accumulating points to give a total score. Amateur boxing involves greater protection for the competing athletes, with more protective gear and stricter penalties for those failing to respect the rules. Contests require the athletes to be quick and skillful, as well as strong and powerful. Amateur contents are fought over three rounds of three minutes for men and four rounds of two minutes for women, much shorter than professional contests. Both athletes receive a one minute rest between rounds. 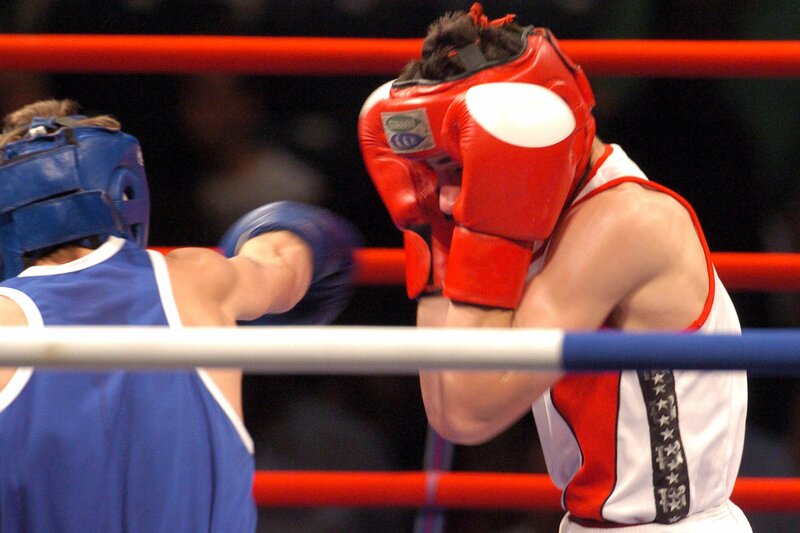 The sport of boxing is more than two thousand years old and traces its origins back to Ancient Greece. It has been incorporated in the modern-day Olympic Games since 1904, with women’s competitions also introduced in London in 2012. Team GB are the third most successful Olympic nation in boxing with 56 medals, 18 of which have been gold. Only the United States and Cuba have been more successful – with 114 and 73 medals respectively. Great Britain won three medals at the 2016 Games in Rio – gold for Nicola Adams, her second consecutive Olympic victory, silver for Joe Joyce and bronze for Joshua Buatsi. Muhammad Ali – surely the most famous and well-known boxer of all time. The American, who was born Cassius Clay, became as well known for his striking personality and interviews as he did for his boxing. He turned professional after winning a gold medal in the 1960 Olympic Games in Rome, winning 56 of his 61 fights and becoming a multiple-time World Champion. Anthony Joshua – the British heavyweight fighter also won an Olympic gold medal, in London in 2012, and has since enjoyed a stellar start to his professional career. Already a World Champion after claiming his first heavyweight title in 2016, Joshua is currently undefeated and on track for a memorable career in the sport. Amateur Boxing Association of England – please click here for more information. In order for a competition to be considered part of a School Games provision, it must follow a School Games format. All School Games registered users have access to our sport formats and can access the formats for this sport by clicking the button below. Alternatively, you can download the full Boxing format pack by clicking here.